Today, a primer on mechanisms for collecting on-street parking fees. But first, why should you care? I think of you, dear Reinventing Parking readers, as having a keen interest in making parking policy wiser. But I don't expect you to be deeply into the technical details. I don't expect parking to be your main preoccupation. Even so, I think a primer on this technical issue might help you! Why? Because a basic understanding of pricing mechanisms, especially recent digital ones, is important in many of the parking policy debates you might get involved in. Busy places need effective on-street parking management. And that almost always means a smart approach to on-street parking fees. There is no escaping pricing if we want parking success without parking excess. Unfortunately, public support for parking fees can be fragile, to say the least. Most of the unhappiness is about charging fees at all. Some anger is about the price levels. But irritation or anxiety about the physical act of paying can make resistance to parking fees very much worse. I heard this fancy parking fee system cost a bomb! What a waste! It is such a hassle! The good news is that some modern options can minimize such worries. Don't let pricing mechanism mistakes make things any worse than they need to be. Today's article, like the earlier one, 'How to set on-street parking fees: eleven ways compared', is based on a section in the toolkit on On-Street Parking Management that I wrote for GIZ's Sustainable Urban Transport Project (SUTP). As always, please alert me if you find any errors! I will try to look into them and correct if necessary. This is a complicated and fast-changing arena. If you are in a hurry, scroll straight down to the most advanced digital options near the end (from option 9 onward). This article is mainly about Pricing Mechanisms (how parking fee payments are physically organized, such as in-street parking meters and so on). But we can't help dipping into the related issue of Payment Methods too, at least a little bit. Payment methods refers to how the money transfer for the payment is handled. Choices include cash (coins, notes or both), credit cards and debit cards, stored value cards, payment through a mobile telecoms carrier, mobile wallets or direct debits from bank accounts. Keeping transaction costs low is an important issue in the choices here. I am almost ready to list the pricing mechanism choices. But first, what issues should a municipality consider in choosing pricing mechanisms? Overall costs (capital and operating combined). This is always important but it is make-or-break if the parking is cheap. Low costs are also important if more than one pricing mechanism will be running in parallel (for example, meters and mobile payments). Capital cost. Mechanisms with significant street infrastructure tend to have high capital costs. Operating cost. Labor costs may dominate here. Transaction costs. Important especially where parking is high-demand, short-duration. Be wary of significant flat fees per transaction with certain mechanisms/payment methods. Convenience of mode of payment. Accepting only small denomination coins, for example. Choices of payment mode. Having more options (such as coin. note, card AND phone) is usually equated with convenience. Not having to predict length of stay in advance. Ability to extend parking sessions. Convenience for diverse users. Especially for motorists with disabilities. Ease of price adjustments. Includes the ability to set different fees for different locations and for different times of the day and week. Ease of enforcement/ integration with enforcement. The costs and efficiency of enforcement of the pricing system can be heavily influenced by pricing mechanism choices. Ease of data collection. Digital pricing mechanisms often enable cost-effective data collection, which is a great boost for evidence-based, outcomes-focused parking management. Trustworthiness. Resist or deter theft/leakage. Robustness/reliability. Will it cope with severe weather, vandalism, power failures, computing failures, and operator or user errors? Suitability for motorcycles. In many parts of the world motorcycles are important and usually need on-street fees too. By the way, you will notice that I haven't linked to any vendors in this article. Looking at vendors is not the place to start if a municipality is in the market for parking fee mechanisms. Instead, think carefully first about the goals of pricing and which of the criteria above are important. Then start preparations for a tendering process. An early step is to publicize a Registration of Interest (ROI) call. Don't start by talking to any specific vendor! Also be aware that mobile payment mechanisms mean that the days of awarding the contract to a single vendor should be over. 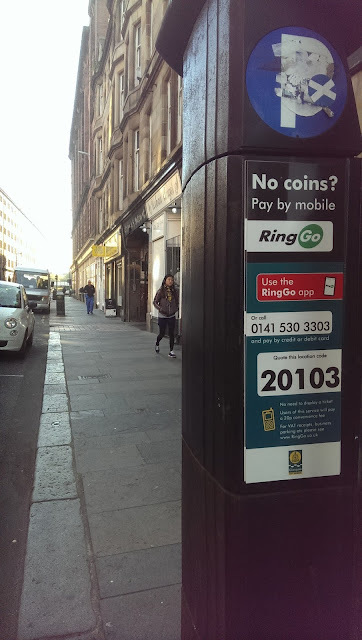 Parking meters (if any) and several mobile payment options can operate simultaneously in the same streets. Let's take a look at the pricing mechanism options, starting with low-tech options and ending with recent digital mechanisms. These are for casual on-street parking. I am omitting the mechanisms for handling permits or season parking tickets from today's list. This article is also not for off-street parking, which has a number of additional fee mechanisms not discussed here. The low-tech options early in our list are varied but have in common the inability to easily capture a stream of digital parking usage and payment data for the parking authority or operator. Attendant seeks flat or time-based fee on arrival or departure and (in theory) issues ticket on arrival. Examples: Most cities in Indonesia; Dhaka; Parts of Beijing, other Chinese cities, some cities in India. Buy coupons from various retailers. Indicate starting time on correct value coupon and display to prove payment for a period of parking. Cons: Motorist error is common; Must predict duration; No data stream; Minor cheating (indicate arrival later than actual); Enforcement cost; Counterfeiting. Examples: Singapore, some cities in Brazil, Malaysia, Ireland. Pay an attendant who parks the car elsewhere. Usually a private-sector initiative. Pros: Can be a 'safety valve' for extreme parking problems at busiest times and places. Low capital cost. Cons: This cannot be the general approach to on-street parking payments; High operation costs. Examples: Common in many countries, especially in restaurant or entertainment areas with localized parking problems. This is the classic old-fashioned coin-operated parking meter invented in the 1930s. Cons: High capital/operating cost; No data stream; Coin-only; Must predict duration; Difficult to change prices. Examples: Still in place in some cities but rapidly disappearing. Deployed in the 1980s and 1990s, these are electronic meters but are less sophisticated than today's ‘smart’ digital meters highlighted later. Most such meters have been pay-and-display multi-space meters. Users walk to the meter, pay for expected duration, return to vehicle and display receipt. Examples: Still common in Malaysia, Australasia, North America (although rapidly being replaced by modern meters). Modern digital parking payment mechanisms have digital capture of transaction and parking data. Many use purely digital proof-of-payment, without printing tickets. Most allow digital payment modes (credit/debit cards and mobile payments of various kinds). Some are cashless. Common Pros: Easy price adjustment; Rich data stream; Usually real-time, two-way data exchange with a control centre, which has many benefits. Several digital mechanisms can often coexist. User can be notified by message or app before time expires. See below. Pay attendant fee for expected duration and display ticket. May allow multiple payment modes. Examples: Makati in Metro Manila; Medellin, Colombia; parts of Delhi, India; Seoul;. Attendant makes regular rounds and fixes tickets to vehicles found parked. New ticket at regular intervals. Motorists pay later online or through local retailers. Pros: High reliability; Low leakage; Theft proof. Cons: High capital cost; medium operating costs; Must predict duration; Limited payment methods. Limited data stream I assume. Digital meters with data connection to the parking operator. Pros: Multiple payment options including cash. Convenient; Can integrate with other digital options to allow extend-by-phone, etc; Easy price adjustment. 10. Digital multi-space pay-and-display meters (6 – 12 spaces per meter). Pros: Often with multiple payment modes Robust; Easy price adjustment. Often integrated with top-up-and-extend via any meter or via mobile payments. Examples: Common in Europe and increasingly in North America. No need to return with receipt. Parking space number is entered at meter and registered as paid for relevant period. Pros: As above. But easier/cheaper enforcement. Often allows top-up and extend via any meter or phone. No need to return with receipt. Vehicle license number is entered at meter and registered as paid for relevant period. Cons: Privacy concerns; Users must remember their license plate number. Relatively new. Examples: Increasingly common in OECD; Mexico City’s ecoParq; Chennai. 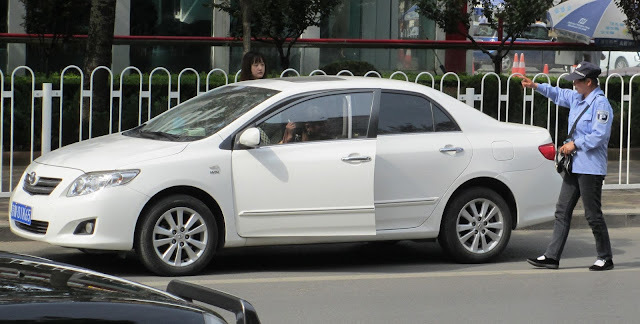 Each can register either a parking space number, small parking zone number or the vehicle license plate number. Often used as a complement to digital meter options above. Rapidly growing % of on-street parking payments in many cities. Pros: Low additional capital costs; Eases enforcement, especially if licence-plates used. Easy price adjustment; Discounts and permit integration; Easy extension of time paid. Suits motorcycles. Cons: Prior registration usually; Capital cost savings only if street infrastructure removed; May need alternatives for certain users; Extra complexity in enforcement if combined with pay-and-display. Call automated phone line and enter details including space or zone and desired time. Examples: Shenzhen; various OECD cities. Examples: Dubai; Sharjah; and many others. Pre-register payment account and license plate. When parking use app to register location and desired time. Cons: May feel need to have other options for non-smart-phone users. Examples: Shenzhen, Tel Aviv (mobile-payment-only cities) and many others (where this is in addition to other options). Device displayed in vehicle is loaded with pre-paid credits or linked with payment account. Manual activation is usual. Pros: Low-moderate capital costs; Low operating and transaction costs; Usually easy price adjustment; Convenient. Pay exactly for time used; Near-field communication enables integration with enforcement. Examples: various OECD cities; Tel Aviv. GPS tracks device installed in vehicle, detects parking events, calculates fees for billing or deduction. May include in-vehicle display. Pros: Very convenient for motorist; Low-medium capital costs; Low operating, transaction costs; Easy price adjustment; Pay exactly for time used; Excellent integration with enforcement, discounts and permits; Well-suited to delivery vehicles. So You Want a Recommendation? It is best to start with clear criteria not a prejudgment about the technology or mechanism. But having said that, here is my view (for now). The digital pay-by-plate options seem to do best to maximize parking-management effectiveness and minimize the pain. They score highly on most of the key criteria mentioned earlier, especially high convenience for users, easy price adjustment, data stream, low-cost integration with enforcement, low transaction costs, suitability for motorcycles, and ability to integrate with permits and special discounts. or some combination of 2 or more of these (including all of them together). In addition, if your city does not already have parking meters, then seriously consider skipping in-street meters completely and just use the mobile options (15, 16 and/or 17)!. These mobile phone and in-vehicle meter options have very low capital costs. But be careful to keep transaction costs down (via mobile wallets for example). For example, in Tel Aviv the only options to pay for on-street parking are pay-by-phone (two companies) and in-vehicle meter (one company). What do you think about on-street parking payment mechanisms? And could more places skip the parking meter altogether and just use mobile payment options? This post appeared first on Reinventing Parking.